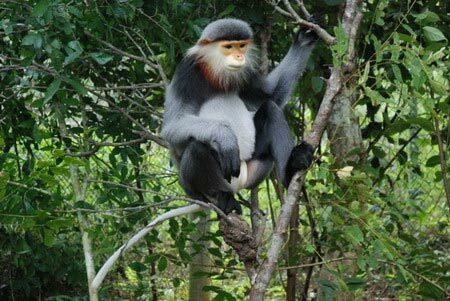 DA NANG (VNS) — The Frankfurt Zoological Society's Viet Nam Primate Conservation Programme will host an eight-day training course for students at the city's Teachers' Training College. The annual course, which began on Saturday, aims to raise awareness about endangered primate protection in Viet Nam's central and Central Highlands regions. Students will visit Kon Ka Kinh Park in Gia Lai Province, home to 250 grey-shanked douc.